Anesthesia Error Attorneys in South Florida | Gonzalez & Cartwright, P.A. Anesthesia is a drug that is vital in almost every surgical procedure that is performed. Despite the necessity of anesthesia to the success of most medical procedures, the administration of anesthesia itself is actually one of the most dangerous aspects of any surgical procedure. Anesthesiologists receive extensive and specialized training for a reason—without proper administration of anesthesia, things can quickly go wrong for the patient, even if the initial surgery or treatment was relatively routine. Anesthesiologists are not only responsible for ensuring that a patient remains unconscious during surgery, but they are also the party responsible for monitoring functions as vital as respiration and heart function during surgery. At Gonzalez & Cartwright, P.A., we have the legal skills and resources in the South Florida medical community necessary to pursue complex claims against medical professionals who have committed anesthesia errors. 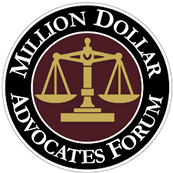 We go the extra mile in protecting our clients’ rights, which is especially important in a complicated medical malpractice case where you may not know exactly what caused your harm or how to navigate the legal system to protect your rights from a financial standpoint. 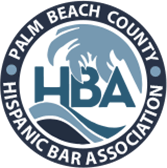 We are proud to provide exceptional legal representation to all South Florida residents who have suffered the consequences of anesthesia errors caused by medical negligence and are here to help regardless of your ability to speak English or your immigration status. Providing the incorrect type of anesthesia based on patient history or the procedure involved. Prepare and argue your case in court if necessary. At Gonzalez & Cartwright, P.A., we pride ourselves on offering full-service bilingual legal representation throughout the South Florida Hispanic community. We take a client-centric approach in each of our cases to ensure our clients receive the highest quality legal advice possible, and in our years of experience have developed a reputation for both excellence and compassion. If you have suffered harm because of an anesthesia error, call us today or fill out this secure contact form to schedule a free initial consultation so that we can put our resources to work for you. FAQ: I lost a loved one because of an anesthesia error in a South Florida hospital. Can I recover any form of compensation because of this? If the anesthesia error amounted to medical malpractice, our lawyers can bring a wrongful death action against the negligent medical professional, hospital or facility to recover compensation for your loved one’s medical expenses, funeral expenses, loss of consortium or company, and even loss of financial support in some circumstances. Call us today and we can begin to evaluate the circumstances giving rise to your loss. FAQ: What is the “standard of care” that is referred to as necessary in South Florida anesthesia error cases? The relevant standard of care, or legal duty of the medical professional, varies based upon the circumstances of every medical malpractice case. In a case involving anesthesia errors made by your anesthesiologist, determining the relevant standard of care involves examining what a reasonable anesthesiologist with the necessary skills and experience would have done under similar circumstances. If a nurse committed the error, we would look to how a reasonable nurse trained in administering anesthesia would have acted. To show that the anesthesia error amounted to malpractice, we must show that the medical professional’s actions deviated from the standard of care, so as to cause you harm that amounted to medical negligence.